The second tier of Italian football will feature round 3 of the 2018-19 campaign underway on Friday, September 14. With four days of action around the Italian pitch, the round will conclude on Monday, September 17. As anyone knows who follows football in Italy, Serie B has gone through some changes in this campaign. We usually have 22 clubs competing in the second tier, but we are down to 19 now which is certainly a strange number to see. That obviously gives one club a round-off as we progress through the Serie B campaign. That club will be Perugia for round 3 this weekend. If you look at the Serie B current table through 2 rounds, you see 4 clubs have only played one match thus far. Livorno had the opening week bye, and Benevento had the week 2 bye, and the match between Cosenza and Verona was PPD during round 2 as well. Amazingly, Cittadella is 2 - 0 on the young campaign, and they are the only club that will be able to stake that claim. The other 18 clubs have already taken a loss or a draw, including the four clubs with only one match played. Here is the list of matches set for round 3 in second-tier Serie B. The first match to kick off for round 3 comes on Friday when Venezia plays host to Benevento. As anyone who follows Serie A will know, Benevento had a miserable campaign last year, finishing at the bottom of the table after allowing an astounding 84 goals. That was their first and only appearance in top-flight Italian football since re-forming in 2005. There are certainly a few faces on this Benevento side that some will recognize. Lorenzo Insigne's brother Roberto Insigne joined the club this year on loan from Napoli. In fact, all four of the Insigne brothers play football in Italy, Antonio and Marco being the other two. Benevento Captain Christian Maggio is certainly a name Italian football fans will recognize. He has been a part of the Italian National Team since 2010, and was close to making the 2014 roster for the World Cup in Brazil. Had it not been for an injury, he might have had a chance to be on the Italian back line, but he has since retired from International play at age 36. There is plenty of other experience on the Benevento roster, and what a comeback they pulled off in their league opener two weekends ago. Down 3 - 0, Benevento came all the way back to settle for a draw at 3 - 3 vs Lecce in their only outing so far this campaign. I see value in the Benevento 'Draw no Bet' offer listed at 2.14 at most major sites, and I believe that line will come down as we get closer to the weekend. Lecce has scored 5 goals in their two outings so far, and I mentioned how they gave up their 3 - 0 lead last time out. I see the bookmakers are issuing a mere 1.83 on the over 2 goals in that contest. and that will be a recommended play as well. I am of the faith that a push/voided bet is always better than a losing bet, so I have no issues with a 1 - 1 result there. If no one can find that third goal, there will be no harm and I will gladly take my money back to fight another day. The Over 2 & 2.5 handicap has a rather nice price at 2.15, so that too holds value if you do not like the juice on the straight 2 total. Brescia and Pescara kick off at 3 p.m CET at Stadio Rigamonti, and the line setters have issued a 1.86 on the 'Both Teams to Score - Yes' Prop. Through two outings, both have scored and both have given up goals, so I am simply hoping they make it three straight. A 1 - 1 score is all I will be asking to take advantage of that action. 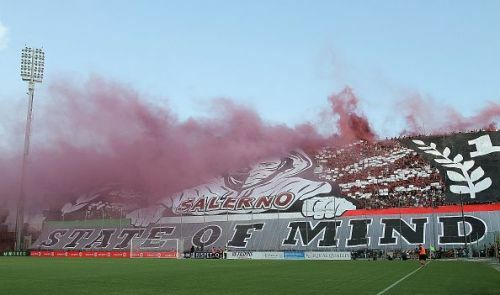 Skipping to the late game on Saturday, Foggia will host Palermo at Stadio Pino Zaccheria. I am going to suggest that you look towards that total of 2.5 to go Over, especially with the lovely price of 2.11 on the action. These two will certainly be able to score on each other, and a 2 - 1 result will surely be obtainable, in my opinion. I honestly expect them both to score twice, in fact, so don't be surprised to see a 2 - 2 type of result here. I hope that works for everyone here, and I will have more plays on the remaining fixtures for anyone who could be interested. Enjoy round 3 of Serie B action, and I look forward to posting again for round 4. In Bocca Al Lupo! Ciao!